PLAYM8 ® Hoop Carry Bags are available in two sizes and can carry up to 18 hoops. 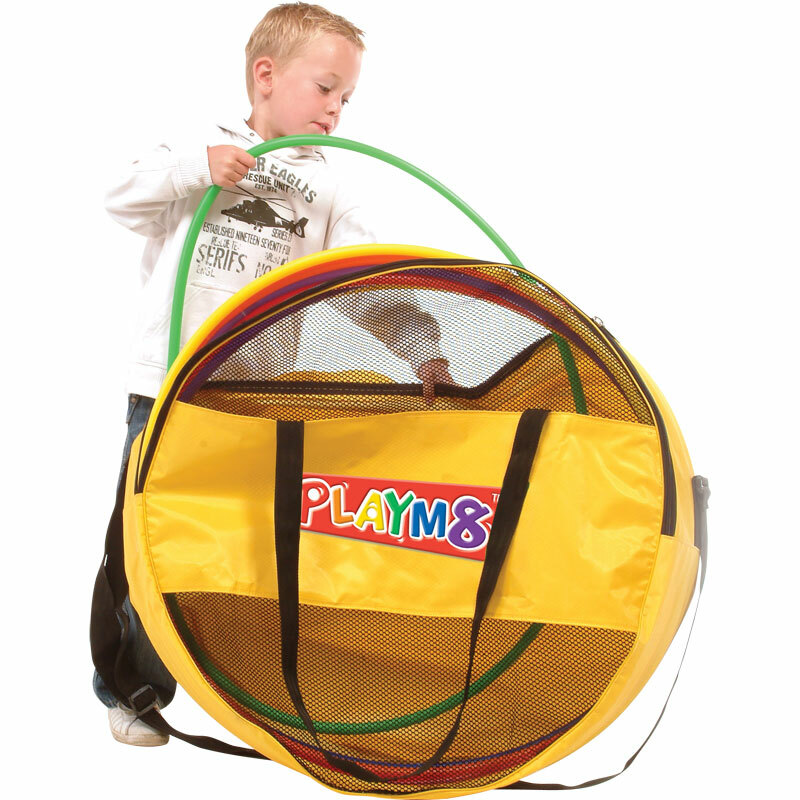 This heavy duty yellow hoop bag is perfect for storing, transporting or hanging your hoops. Made of durable nylon reinforced polyester vinyl with a heavy-duty zipper and carry straps. Straps can be hung on any hook. The sizes represent the size of the hoops that the bag is made for the bags are slightly larger and marked differently. Suitable for 76cm hula hoops.